I’ve been home from NYFW for about a month now and I still smile thinking about it. What an amazing experience that I’ll forever remember! I felt so lucky to be there, be invited to events and work with some amazing brands while I was there. And honestly, if it wasn’t for you guys reading this blog, shopping my links or supporting me, I wouldn’t have been able to have the experience I did! 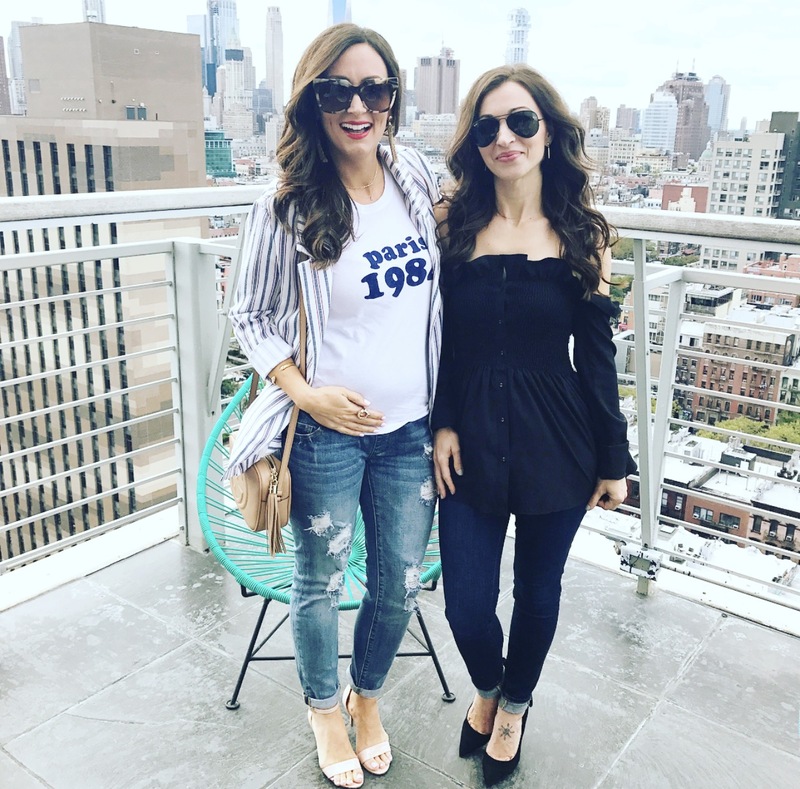 I shared all my New York Fashion Week looks & outfits in this post here but wanted to give you guys a quick recap of some of the other fun details we did while we were there! Where we stayed, fashion shows we attended, places we ate and some of my favorite details of the trip. 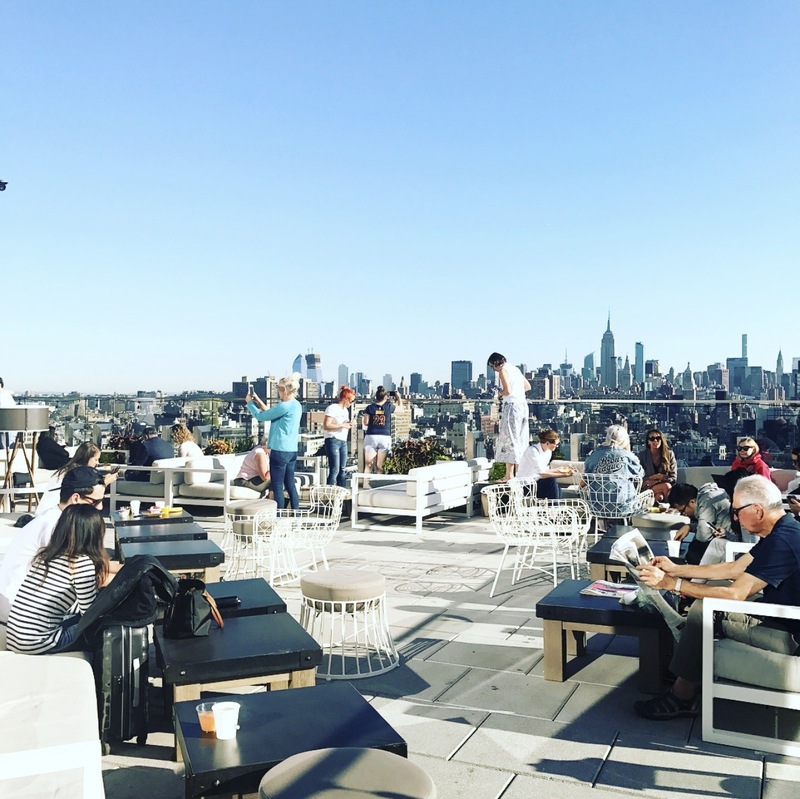 We started the morning by having breakfast on the rooftop of our amazing hotel, Hotel 50 Bowery. I honestly can’t say enough good things about this hotel. It was only built about 4 months ago so everything was new, modern and gorgeous. The view from our room made the stay complete as we got to look right out onto the beginning of the Manhattan Bridge, the perfect New York setting. 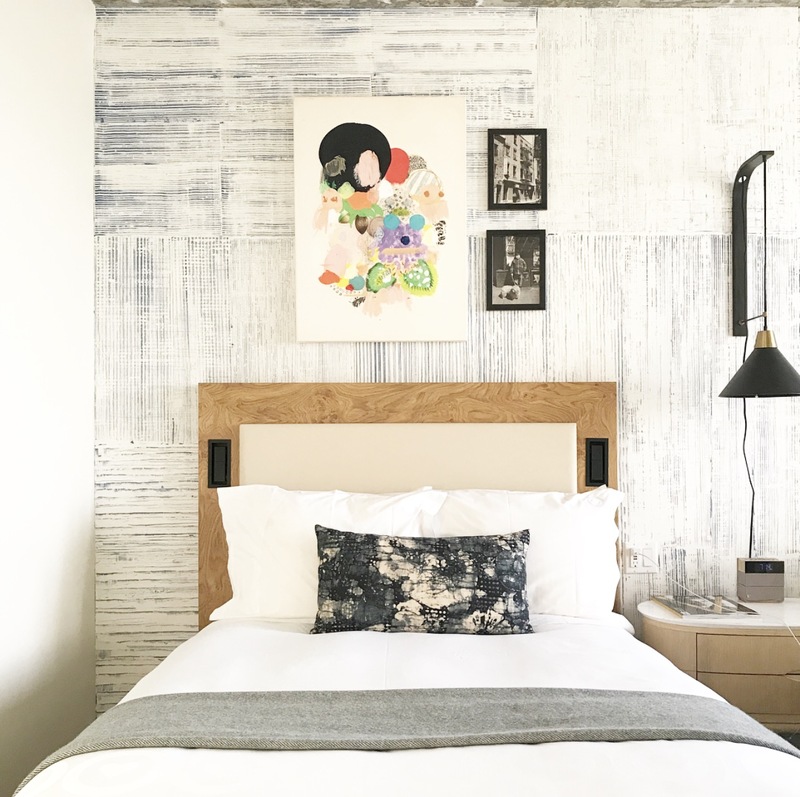 The hotel is located in the heart of Chinatown, just a short walking distance to Soho and about a 10 minute cab ride to Time Square. But let’s go back to the breakfast. You guys. It was COMPLIMENTARY. ON THE ROOFTOP. And I’m not talking about cereal. Eggs, potatoes, toast, bagels, yogurt, muffins, coffee and a full bar. It was awesome! Highly recommend and will definitely stay here again! After breakfast, we settled into our hotel and got ready for our first runway show of the trip. Now, this was my VERY first REAL fashion show and what a crazy experience it was! 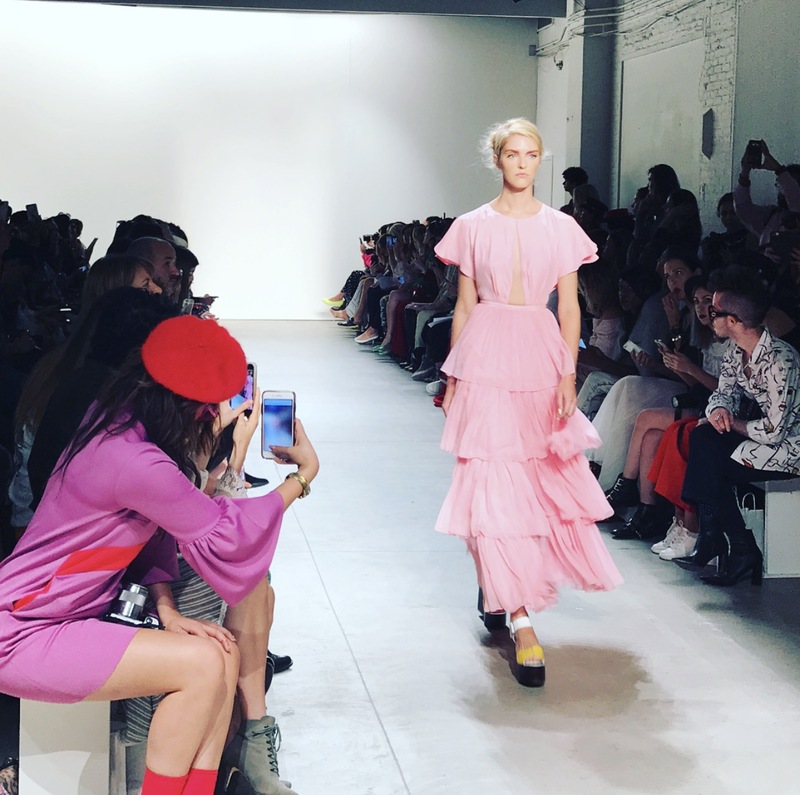 When you first request a ticket to a runway show, you never know what you are going to get. There’s a seat ticket, a standing priority ticket and a standing ticket. Ideally, you want the seat ticket, but that’s hard to get. Sometimes if you have a standing ticket, it still doesn’t guarantee you into the show. It’s wild! 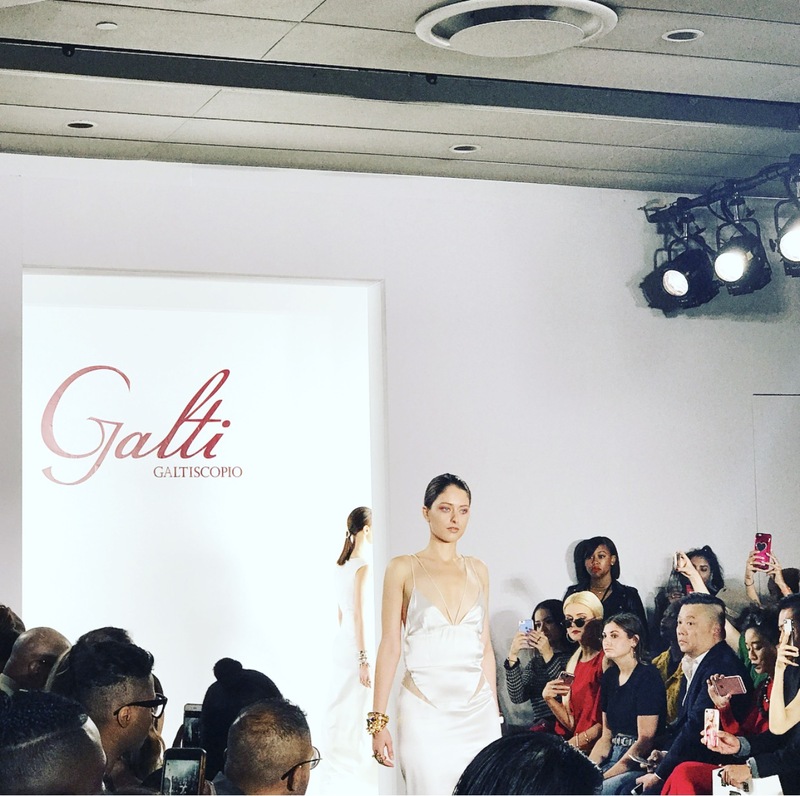 All in all, we got in, got a seat and were ready for the Galtiscopio runway show. Overall, it was a great way to start fashion week and such a pretty show! 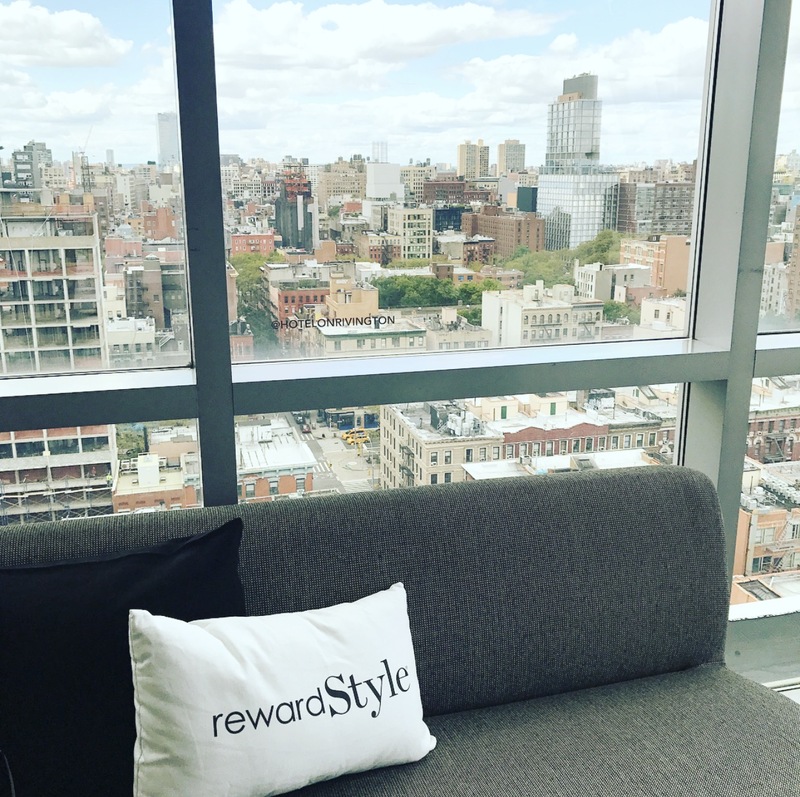 From there, we headed to the RewardStyle headquarters to check in, meet with some other fun bloggers and mingle. 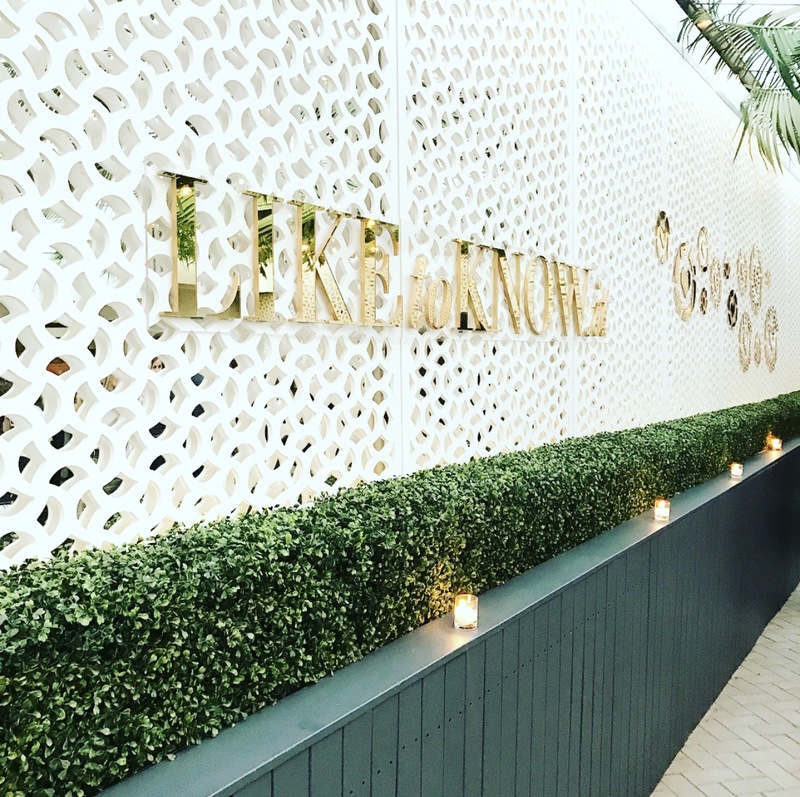 (RewardStyle is the company who created Liketoknow.it). They had a champagne bar for us, a fun photo booth and a great rooftop view of the city where we could take pictures. After all that fun, we headed back to our hotel to change outfits and get ready for the night ahead. Next up was one of my favorite events of the entire trip, the Michael Costello showroom. Full of blush pink florals, this event was just gorgeous. Michael Costello was on Project Runway and is known for his bridal collection. All I can say is that I left that showroom a MAJOR fan. Loved his work. We finished off the night with dinner down the street in Chelsea at The Red Cat restaurant. Farm fresh food, a great atmosphere and an amazing wine list. Highly recommend. We had a couple of free hours on the morning of day two, so we decided to walk to Soho and explore. I’ve been wanting to go to Maman to grab a cute coffee for the longest time now. I was so excited that we were able to stop in on this trip. A french inspired cafe with a restaurant in the back and a cute Parisian inspired store in the front, this place was like heaven to me. 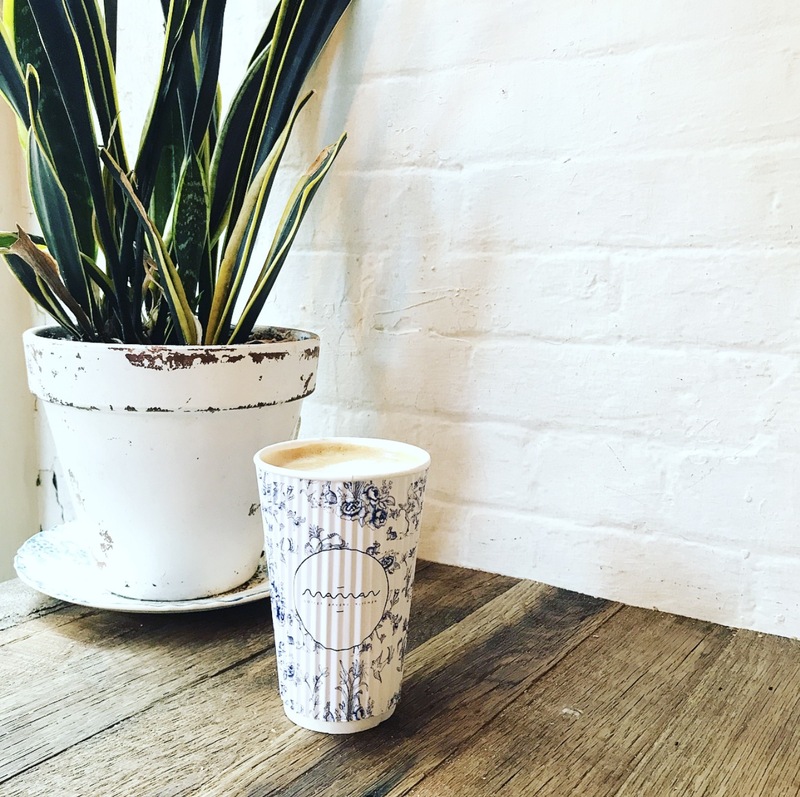 Did I mention that the coffee came in these ADORABLE french floral cups? One of my new favorite spots in New York by far. 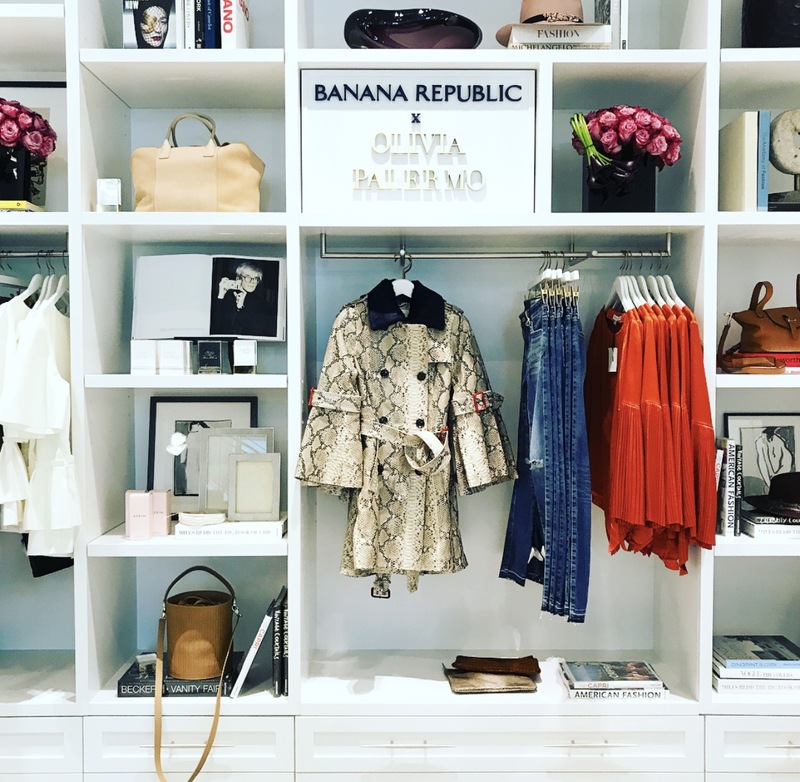 Next up on the list was the Banana Republic & Olivia Palermo showroom and runway show. Now this event was crazy packed with people because it was open to the public, so there were lines for days outside the store. We were lucky enough to have tickets, but getting into the store was still crazy. It was a “little” unorganized to say the least, but at least we got in. We got to meet Olivia (she’s always been one of my favorite designers) and see her military inspired collection that she designed with Banana Republic. Such an amazing experience. From there, we walked to Shake Shack in Battery Park. 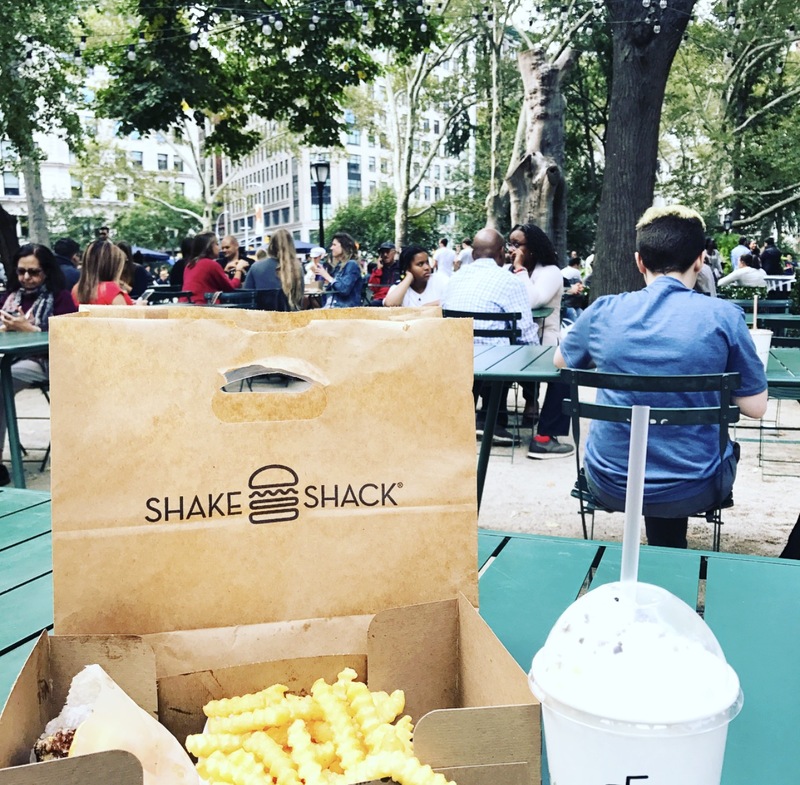 Now come on, what is a trip to New York without a little Shake Shack. Surprisingly enough, this was my first time ever eating Shake Shack! 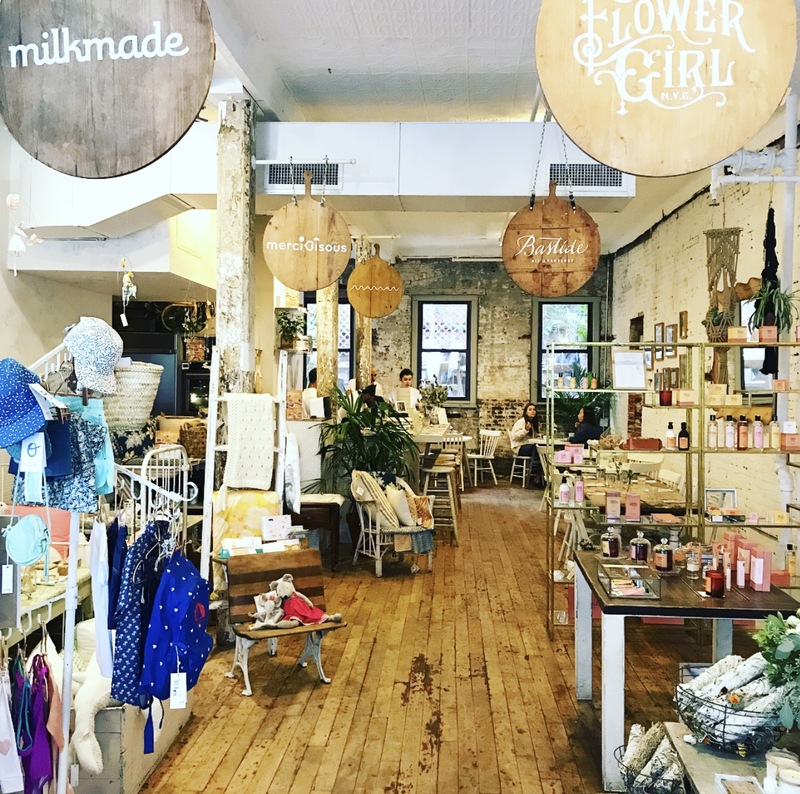 During all my other trips to NYC, we have tried to grab something from there, but it never worked into our schedule (probably because we were eating everywhere else!) Can we just take a second to talk about those shakes? SO good! After filling up on shakes, burgers and fries, we headed back to the hotel to get ready for the fun night ahead at our RewardStyle event. The event took place at La Sirena, a really cute little restaurant in the heart of Chelsea. They rented out an area for us, complete with an open bar, DJ, dance floor and passed finger foods. 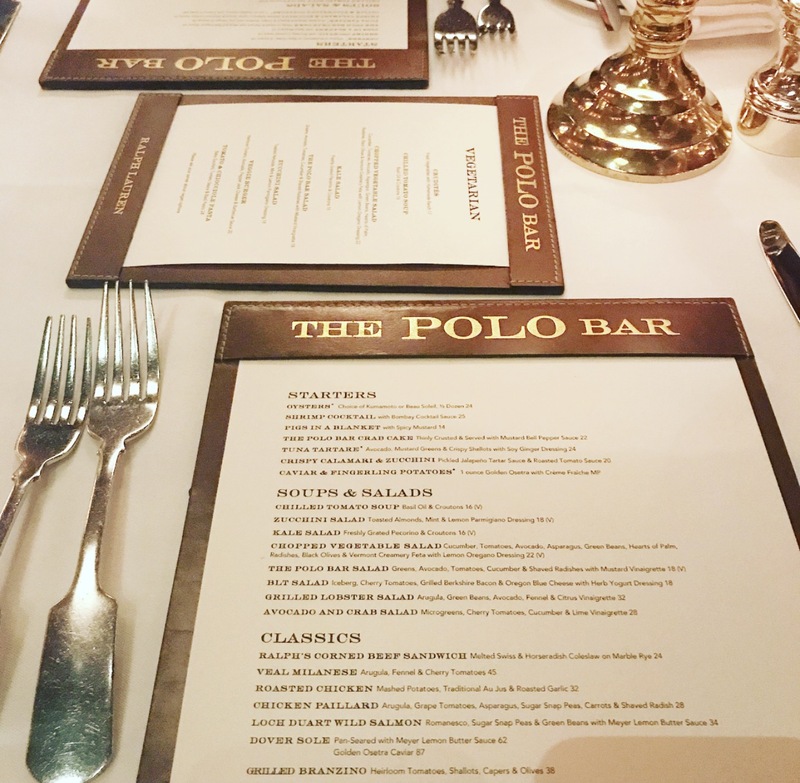 It was so fun to meet new bloggers, chat, mingle and just have a fun night in NYC with a bunch of girls who understand the industry. 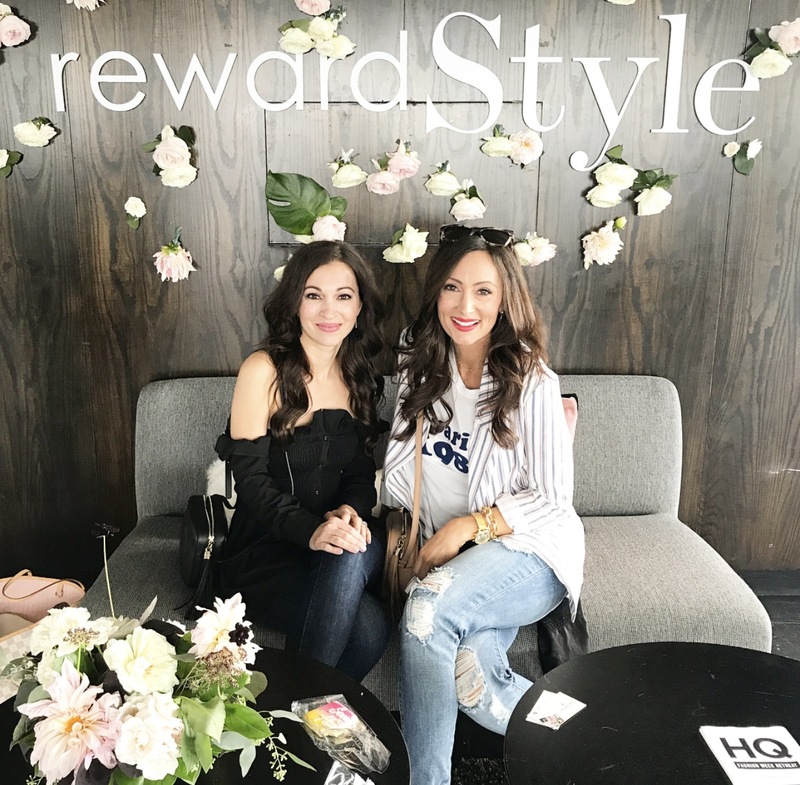 Thank you RewardStyle for a very fun event! We started day three by sleeping in a little bit. But seriously, you go NON stop during these days, so a morning to sleep in is amazing. 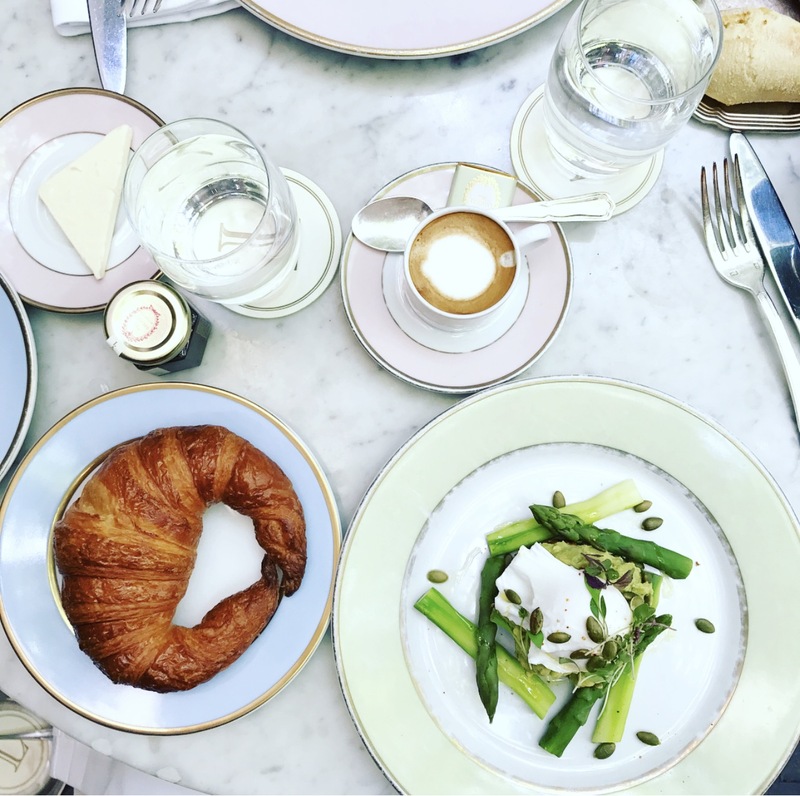 We then headed off to Ladurée Soho (one of my absolute favorite spots in New York) where we got to sit outside on the patio and enjoy a delicious brunch. I’ve ate here many times, but the weather has never been nice enough to sit outside on the patio uncovered, except for this time. Let’s just say it was a dreamy atmosphere! After brunch, we headed to the Rebecca Minkoff flagship store in Soho where we got a one on one shopping experience thanks to Sai the general manager. 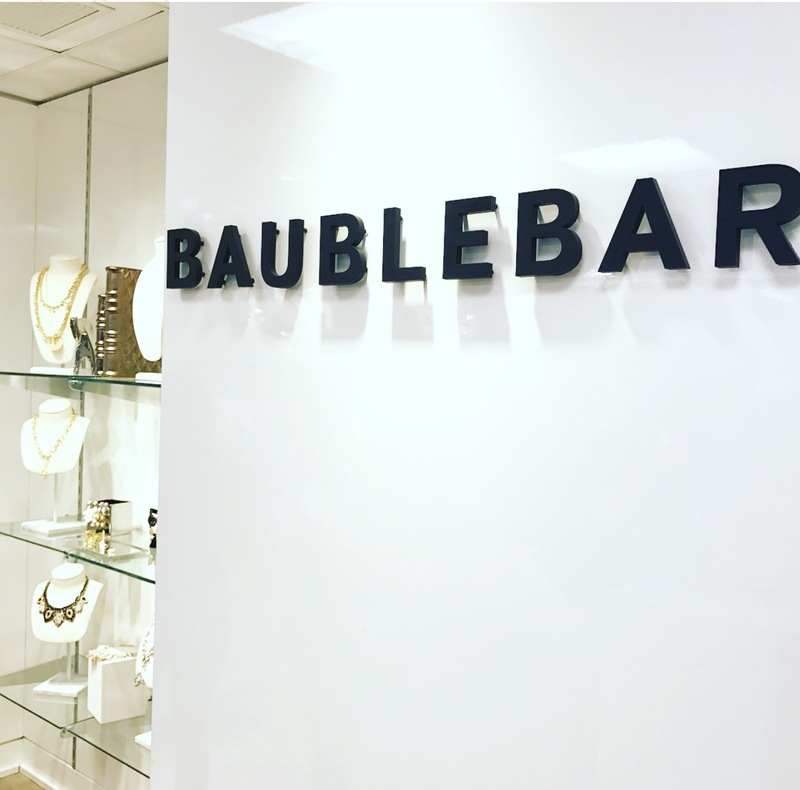 We spent about 2 hours in the store, trying on shoes, loving on all the new fall bags & experimenting with their new interactive fitting rooms – where you can push a button and have champagne delivered to your dressing room! We were basically spoiled inside that store and I can’t wait to style everything I took home. We then headed off to the Leanne Marshall runway show which was probably one of the highlights of my trip. 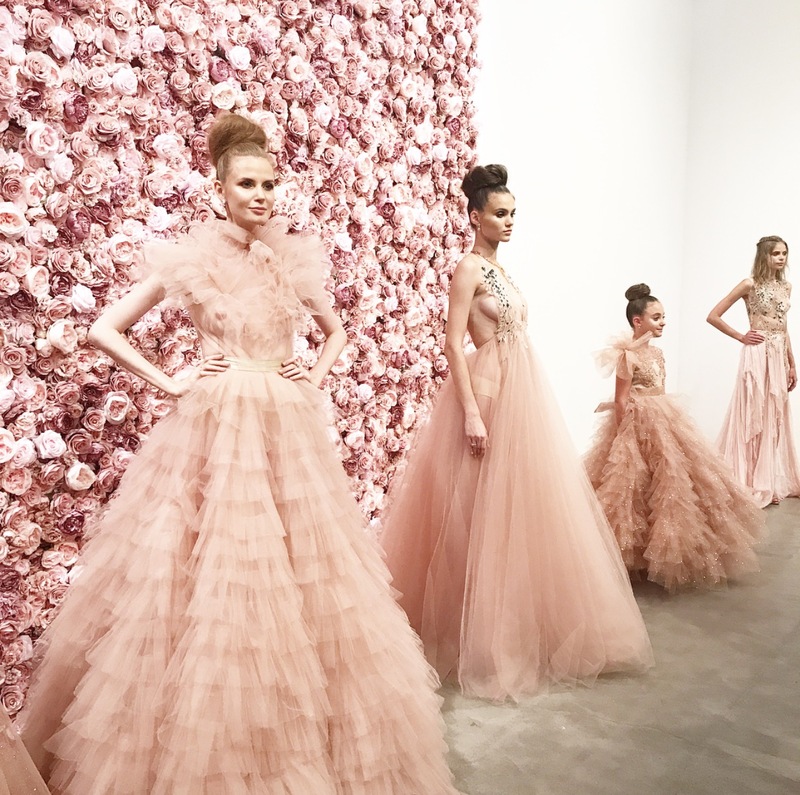 Like Michael Costello, Leanne Marshall’s whimsical, flowy bright color designs were absolutely STUNNING in person. The venue of this show was also inside the main NYFW building so it was so fun to people watch and take in the real fashion scene. After stuffing our faces (again!) We headed out to catch two more runway shows for the night. First up was the Samantha Leibowitz runway show. I somehow landed myself in the front row for this one and loved every minute. Such amazing designs and THE SHOES! So fun! We quickly ran from that show right onto the next which was Jarel Zhang. This was probably the funkiest show we went too with the style being well….interesting. But hey! 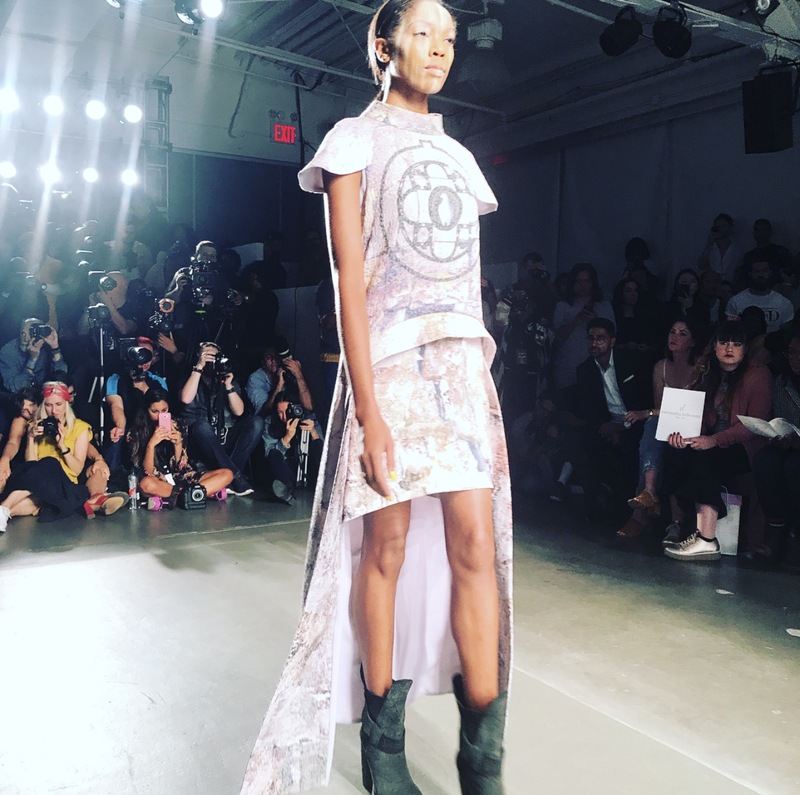 That’s the thing about NYFW…..funky style is fashionable! Still a very fun show with a “construction site” theme that made it pretty memorable. 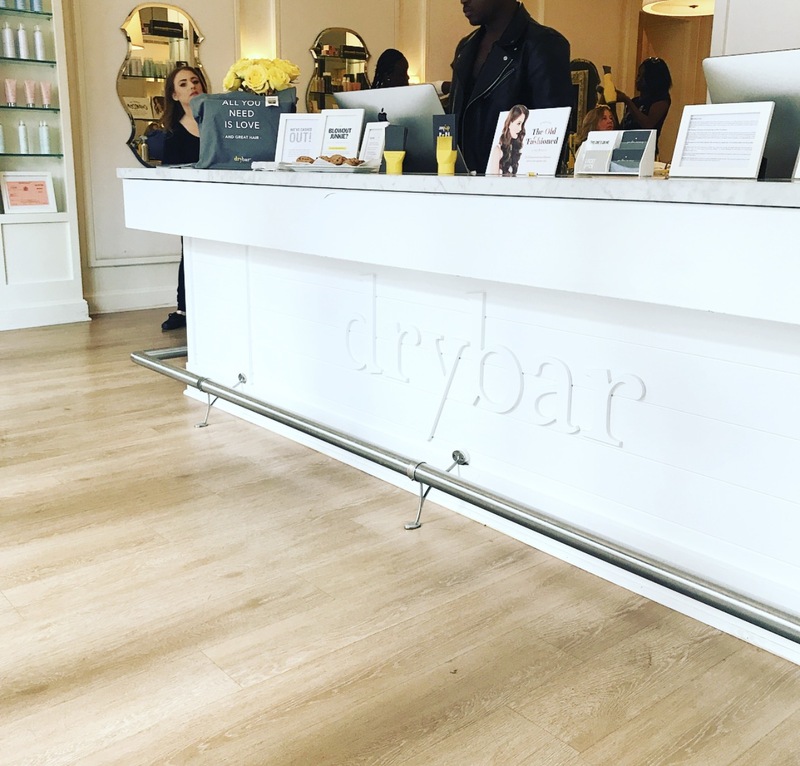 Our final day in New York started off with a morning at Drybar Tribeca. Have you guys ever tried out Drybar? I’m obsessed. A place where they blow dry your hair for the week?! Yes please! Since it was a Monday morning, all the seats were booked with customers blow drying their hair before work to start the week off. I absolutely loved this experience and will be posting a full review post on the blog here soon. 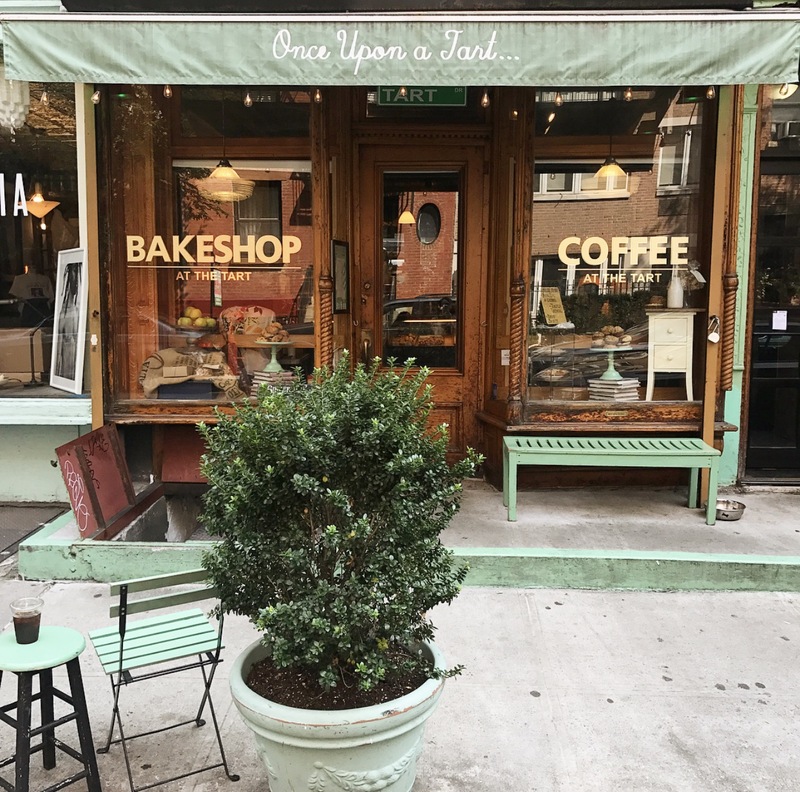 We then grab a coffee at Once Upon A Tart (another super cute NY coffee spot) and headed towards Washington Square Park. We walked around the park for a little bit, people watched and enjoyed the 70 degree weather. We then stumbled upon a few vintage shops (Stella Dallas & A Second Chance) where I actually took home a gorgeous cashmere Burberry scarf for 1/3rd of the normal price. Such a great find! After that fun morning, it was off to the airport and on towards home! Overall, New York was an AMAZING experience. I’ve always dreamed about fashion week, but I never in my wildest dreams thought I would actually make it there! New York is one of my favorite cities in the entire world and this trip definitely made it even more special! 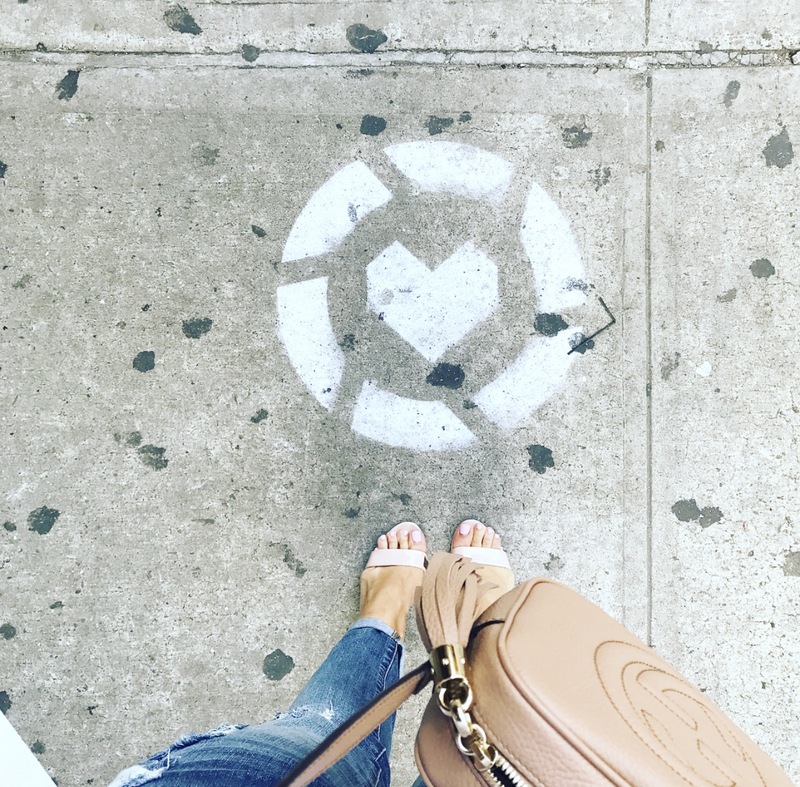 Hoping you all have a fantastic week….now on to find a cute New York like coffee shop to start my week! Previous Post Shopbop Sale – Last Day!